Michael's bloggy blog! : Katie Kate! 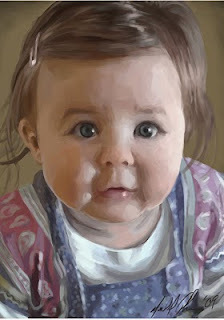 This was for Kate's 1st birthday, she's my niece, happy birthday missus..... I'm done painting babies!! WOW! Mick this is CLASS. Wow this picture is very realistic and full of heart. It's very sweet and beautiful.